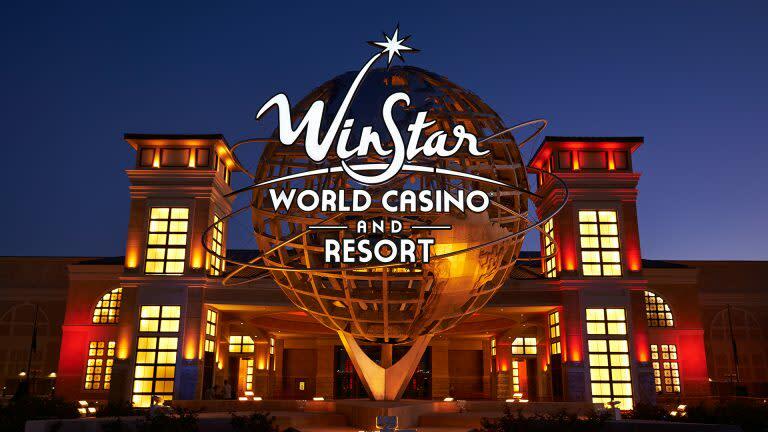 WinStar World Casino and Resort is a destination unlike any other – one that’s difficult to sum up. This is the World’s Biggest Casino, after all, where nearly 400,000 square feet of gaming floor plays host to nine impressive, city-themed gaming plazas and over 8,100 electronic games. And that’s just the start, because there are 100 table games, a 55-table poker room, Racers Off-Track betting parlor, Bingo, Keno, high-stakes rooms and more. And that’s just on the gaming side. You’ll also find a diverse culinary scene throughout the resort, with everything from upscale restaurants like Kirby’s Steakhouse and the 500-seat Gran Via Buffet to casual favorites like Toby Keith’s I Love This Bar and Grill, El Fenix and Panda Express. WinStar’s nightlife is a world of its own too, with the WinStar Global Event Center’s star-studded history of big-name entertainers like John Legend, Blake Shelton, Luke Bryan, Maroon 5, John Mellencamp, Dolly Parton, Sting and Jerry Seinfeld. During the summer you can also catch a concert under the stars in the Colosseum at WinStar, which has hosted the big acts such as Steven Tyler and Florida Georgia Line. There are plenty of other flavors of nightlife to enjoy as well, from the jazzy Rotunda Bar in the hotel lobby to the Skyline Lounge in New York to MIST Nightclub. Other premier facilities at WinStar World Casino and Resort include a 3-tower hotel with nearly 1,400 luxurious rooms, the 65,000-square-foot Convention Center, a Golf Academy and Club with two championship 18-hole courses, the organic Spa at WinStar, unique shopping opportunities and more. 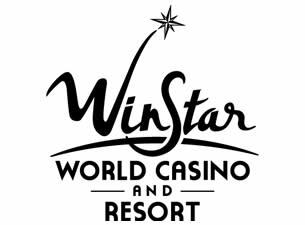 WinStar World Casino and Resort is owned and operated by the Chickasaw Nation. The net income from WinStar and all other Chickasaw Nation businesses helps provide essential services such as health care, education, transportation and aging, youth and family support to the people of the Chickasaw Nation. To learn more about the historic Chickasaw Nation and other Chickasaw destinations, visit Chickasaw.net.